My time as a professor at Fisk University, an historically black school, had brought to my attention the central role of the black church in caring for and supporting African American families and in being institutions at the center of social change through the civil rights movement. Churches, I saw, can indeed be transformative – transformative of their members and transformative of society. I felt a call to be a part of that – of an institution that transformed itself, its members, and the world, and moved our conflicted species, so prone to violent and exploitative power, toward greater justice and more substantial peace. 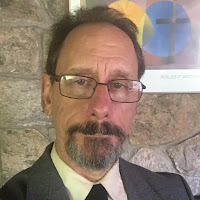 So here I am, to serve in what ways I can the mission of Unitarian Universalist congregations, including the part so aptly articulated in this congregation’s mission: to engage in service to transform ourselves and our world. I began a serious and daily spiritual practice fourteen years ago – and that, too, has been of a piece with my social justice orientation. What was an agreeable but occasional and fleeting idea – that there are no others, that I am all of life, that all suffering is my suffering – has slowly become a more abiding constancy of consciousness. Living this truth in my actions, my service, no less than seeing it in the times set aside for still silence, transforms me, solidifies the awareness of our interconnection and, indeed, our interbeing. At Marches, rallies, or vigils – visiting legislators to urge certain actions – contributing volunteer labor at a homeless shelter and writing checks to various charities – in service, education, advocacy, organizing, and witness -- living my faith changes me. It’s the way I become who I am. That’s my story. It’s a tiny part of our story. Our story, the Unitarian Universalist story, is a long history of living our faith. From the very beginning of Unitarianism as a distinct religion in Europe over 400 years ago, and the somewhat independent re-beginning on American soil over 200 years ago, ours is a tradition that has always said that faith must be lived. We have emphasized this life, rather than the next. We have said that it’s the way Jesus lived, rather than the way he died, that offers us a way to be saved. From the days when we more frequently invoked God, we said that God calls us to love one another, and we recognized, as Cornel West would put it centuries later, “justice is what love looks like in public.” So we are called – tugged by something we did not put there -- to the work of building justice – making our institutions more fair and inclusive. In the 19th-century Unitarians were at the forefront of the Abolition movement to end slavery. 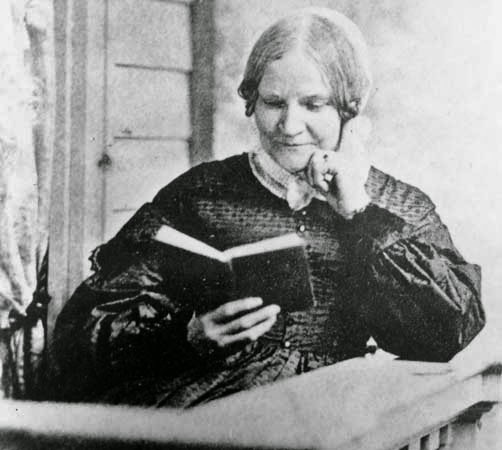 Lydia Maria Child lived her Unitarian faith, publishing widely about the evils and extent of racism. Frances Ellen Watkins Harper lived her Unitarian faith as an influential poet and orator for antislavery. Rev. Theodore Parker lived his Unitarian faith, founding and leading the Boston Committee for Safety and Vigilance, which was dedicated to defying the 1850 fugitive slave law. 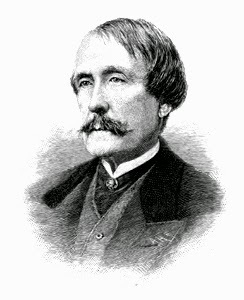 Robert Gould Shaw (played by Matthew Broderick in the film “Glory”), a colonel in the Union Army, lived his Unitarian faith by committing himself with all his heart to the command of the Fifty-fourth Massachusetts regiment, the first all-African-American regiment. Unitarians were at the forefront of the women’s suffrage movement. Lucy Stone, Susan B. Anthony, and Rev. Olympia Brown each lived their Unitarian faith as ardent and passionate leaders for the right of women to vote. Bronson Alcott and Elizabeth Parker Peabody lived their Unitarian faith in their work for education reform to facilitate greater flourishing for more people. Unitarians George Ripley, Margaret Fuller, and others lived their Unitarian faith by organizing Brook Farm, an experiment in communal, egalitarian living to make our ideals real. Dorothea Dix lived her Unitarian faith fighting for people with mental illness. Samuel Gridley Howe lived his Unitarian faith as the first director of this country’s first school for the blind. Rev. Joseph Tuckerman served a Unitarian congregation in eastern Massachusetts for 25 years, and then became minister-at-large to Boston’s poor. He has been called the Father of Social Work because his ministry first articulated and demonstrated that field’s fundamental principles and practices. That’s how he lived his Unitarian faith. Henry Bergh lived his Unitarian faith writing the first law against animal cruelty, passed by the New York legislature in 1866. He then founded the Society for prevention of cruelty to animals and campaigned successfully to get his anti-cruelty law adopted in 38 additional states. Those laws then, with Bergh's help and leadership, led to laws against cruelty to children. And that's just the 19th century! For each of these leaders, there were hundreds of rank-and-file Unitarians, clergy and laity, also at work in these efforts. Next: Unitarian activism in the 20th century. This is part 2 of 4 of "Service to Transform"